Imagine the uproar this out fit would cause in the good old U.S.A.? 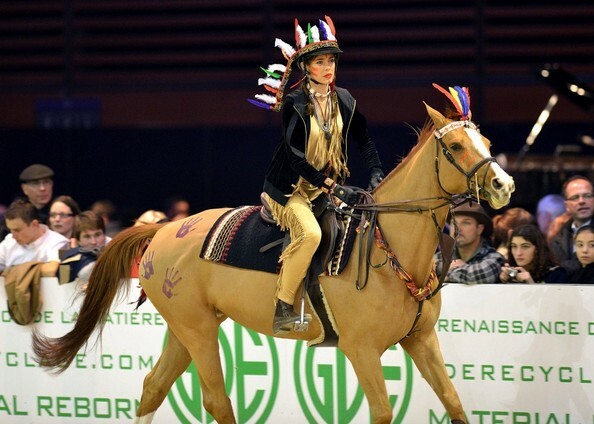 Charlotte Casiraghi dresses up as a Native American Indian as she participates in the 2012 Gucci Masters equestrian competition. Casiraghi is the daughter of Princess Caroline of Monaco and the fourth in line to the throw so we doubt she’s too worried about any backlash here in the New World. Our first impression: Seminole Gay Pride Parade.